2017 marks the 100th Anniversary of the Toronto Maple Leafs. The new spot "Stand Witness" directed by Revolver's Ian Pons Jewell and created by Sid Lee, is MLSE's newest platform. 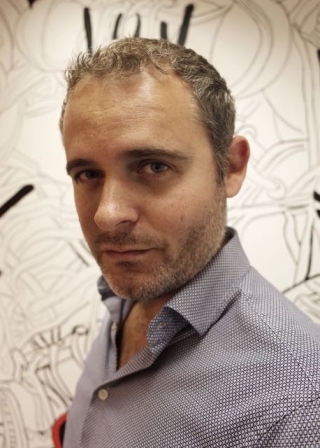 This week's guest judge is Matt Nisbet, creative director at Ogilvy & Mather, Hong Kong. Winner: Under Armour, Make That Old With Stephen Curry. Well-written, beautifully shot, great editing, love the soundtrack. Stephen Curry's back and he's mad! Would have been nicer to see this stray a bit more from the expected formula though. Through the years Popaganda Music Festival has done several campaigns in social media, engaging the fans. This year they took the engagement one step further and let the fans release the artist line up themselves. DDB New York created two ads fraught with suspense for State Farm. The Scary Right campaign will make your heart beat fast, and your palms sweat until...a State Farm representative is there to help. The ads, which promote the hashtag #heretohelp, are in sync with the new State Farm tagline and positioning "Here to Help Life Go Right." Made of incredible stuff is the new positioning for Super Nature super food meals. To launch the campaign SHEDcsc, Western Australia, used Turia Pitt an incredible Australian athlete who 5 years ago was caught in a bushfire while running an ultramarathon in Western Australia's Kimberly region. Told she would never run again, Turia has endured hundreds of operations and fought back to run in the recent world iron man championships in Kona Hawaii. For this event super nature were her major sponsor attracting massive editorial and social media coverage for the brand. Right now there are 60 million refugees in the world. They all carry a dream of living a safe and normal life. And some make it to Sweden. In Sweden, no one is deported because of HIV. But people in 22 countries around the world are. So it isnât so surprising that 40 % of refugees in Sweden are reluctant to take an HIV test. This is why RFSL Dalarna and Hiv-Sverige via Magic Circle, decided to launch the second year of the initiative "We Are Survivors" with a film telling the story of Tatelicious, a 25 year old transsexual woman living with HIV in Sweden. These content spots via Arnold Worldwide, drive people to an information hub that gives financial advice to new parents. Today, NHS Blood and Transplant and MOBO launches a new online film 'Represent', which aims to drive registrations of blood donors from the Black and Asian community. The film, created by MullenLowe London, features UK grime artist Lady Leshurr and showcases some leading UK celebrities including record breaking Olympian Nicola Adams MBE, TV presenter and wheelchair basketball plater Ade Adepitan, Chuka Umunna MP and MOBO's own Founder and CEO Kanya King MBE. The online film launches on 27 October and will be supported by a social campaign partnership between NHS Blood and Transplant and the MOBO Awards. The Primitiva brand continues to use its famous "We don't dream cheap" with a new point of view, "You don't know, but you do know." This new campaign from Publicis Spain makes reference to this mental block that arises when we're asked the question "What would you do if you won?" despite having thought about it and imagined it a thousand times! Hence comes the name of the campaign "You don't know, but you do know." The campaign, which will be on air from October 26th, includes TV, radio, outdoor, press and instore. Africa is a beautiful continent explored by thousands of Land Rover drivers. But as beautiful as it is... Africa can be a tough place. Not the kind of place you'd want to break down...This press campaign via Publicis Machine, South Africa, encourages people to fit genuine parts. #campaignforrespect encourages us to rethink how we respect others. Porter Davis build homes but also hope to help build happy, healthy communities. This campaign via Honey Communications, reminds us of the crucial role respect plays in our daily lives, locally and in the broader community. We even took our message to Times Square in New York during the crucial debates between Trump and Clinton as Trump spoke of banning Muslims and building walls. In Australia, there's a serious lack of awareness around children affected by Rare Diseases. Thankfully, organisations like the Steve Waugh Foundation raise funding to provide grants for these kids. One of the Steve Waugh Foundation's fundraising events is their annual Captain's Ride - A 6-day, 700km Bike ride through NSW. This year, as part of an integrated campaign with Havas and Red Agency, we developed an idea that meant the children affected by Rare Diseases could become part of the ride. Bombay Sapphire launched the first-of-its-kind Google Chrome plug-in that instantly replaces banner ads with all new and original works of art created by emerging artists across the country. The campaign, created by BBDO New York, started with a simple question: If art makes the world more beautiful, why can't art make the internet more beautiful? Alcohol causes one car crash per hour in Peru. The Maximum legal level when driving is 0.5 grams of alcohol per liter of blood. To make sure that people in Peru understood the influence of alcohol Pacifico Seguros and Tribal 121, Lima created the "0.5 Effect." Harmon Brothers, USA has created this campaign for Chatbooks, a web site which sends you a "Photo Book" after posting 60 photos on instagram, facebook or photos added to your phone favorites. Renowned for his ability to extract natural and heartfelt performances from his cast, Director Ornette Spenceley has partnered with AMV BBDO London to create a playful, unpredictable and visually remarkable film for Sainsbury's. Dave Buchanan and the team at AMV BBDO were truly collaborative.lishly fun outcome. Spencer Dodd, Managing Director at The Sweet Shop added, "Creating something that feels natural and real, despite itâs being inescapably contrived is one the hardest skills in our industry and Ornette does that consistently. The entire collaboration with AMV BBDO was a great experience from start to finish, with the team working seamlessly together." News headlines in Israel tend to be somewhat negative. Focusing on the bad news that happens here and at other times showcasing the rude, boisterous and sometimes shameful misbehaviour of Israelis. That's why, in an effort to spread goodness and celebrate a brand that makes life in Israel that much sweeter, the country's leading chocolate brand - Elite Cow Chocolate via BBR Saatchi & Saatchi - created a video stop-motion campaign starring plasticine figures celebrating Israelis who do good and set it to a happy song. Chase has teamed up with Broadway, television and film star, James Corden, to support the launch of the new Sapphire Reserve card. Corden stars in "Reserve What's Next," a new three-part documentary-style film series that will explore cutting-edge experiences that are shaping the future of travel. Directed by David Gelb, the creator and director of Chef's Table on Netflix, James will meet with visionaries who are changing the face of dining, transportation and accommodation. Agency: Droga5, New York. The #MyBeautyMySay campaign, launched by Dove and Havas helia, head-on addresses the fact that it has become the norm to judge women based on their appearance and use their beauty against them. The campaign features stories of amazing women who stood up for their own beauty and aims to encourage women everywhere to stand up for their own beauty by sharing their own story using #MyBeautyMySay. After premiering a trailer of "The Most Interesting Man in the World" last month, Dos Equis via Havas Worldwide, New York, released a full-length commercial today, "Airboat", revealing more of the character's mystique and depth. Nissan has unveiled the latest in its series of autonomous innovations. With its corporate vision of 'enriching people's lives through technology' - once again, Nissan has effectively hacked our daily lives with the disruptive help of TBWAHAKUHODO. This comes after their first initiative 'Intelligent Parking Chair' won the Digital Grand Prix at Spikes Asia. Block promotes the up-coming Festival Fromage event in Perth that celebrates the tastes of cheese. BSUR was asked to create the first ever global brand campaign celebrating the exceptional Princess experience. Our challenge was to find a fresh approach within the category and reach enthusiasts beyond the boat world with unique stories of quality time at sea. Even the safest place in Chicago's most violent neighborhood isn't indestructible. Watch how Off The Street Club and Energy BBDO, Chicago turned a symbol of violence into stories of hope. TBWA / BBDO, Copenhagen created this campaign for Old Spice to prove that their odor blocker deodorant really worked. Intermarche has created an innovative product that helps overcome peoples growing sugar dependency progressively. The "Sugar Detox" comes in a 6 pack of chocolate yogurt with each yogurt including a little bit less sugar. Agency: Marcel, Paris. Havas Lynx, Manchester has created this outdoor poster for Cancer Research UK which changes when in sunlight to send this "Sun Safe" message. To introduce Hillshire Snacking's new line of premium snacks, VML USA set up a vending machine in a public place. And since Hillshire Snacking is a fancy snack, we decided to fancy up the vending machine too. By adding a butler. A real butler who served up new Hillshire Snacking flavors on a silver platter. Fans stopped, stared and enjoyed new Hillshire Snacking Small Plates which feature a variety of culinary inspired combinations complete with natural meats, flavorful cheeses, premium nuts, and savory crackers. All served from the Worldâs Fanciest Vending Machine. Because a fancy snack deserves a fancy snacking experience. Take a 360 degree tour inside Tituss Burgess' mind as he describes the incredibly long-lasting Fresh scent of Unstopables and imagines the world that inspired by it. Agency: POSSIBLE Cincinnati. Mother, New York has released "The Mom and Dad Bods Anthem" for Organize, a nonprofit organ donation company asking people to become organ donors. Tesco Mobile Ireland is the best network for customer experience in the country. Being no.1 when it comes to customer experience means that Tesco Mobile helps reduce their customers' stress every single day. For our campaign, we decided to go one step further and try and reduce everybody's stress. Chemistry, Dublin, used the relaxing sounds of kittens and whales in our radio ads to help people unwind.